For the third year in a row the Department maintained its ranking as the 5th largest NIH-funded Department of Surgery in FY2010, according to the Blue Ridge Institute for Medical Research. 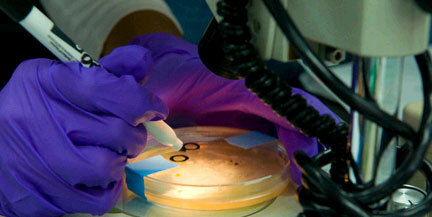 The institute also reported that Emory Surgery had seven PIs in the top 200 NIH-funded surgeons. 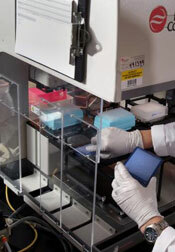 In addition to the NIH, the Department’s funding base in FY2011 continued to diversify, with such stalwart contributors as the American Society of Transplant Surgeons, American Society of Transplantation, Department of Defense, JDRF, and the Georgia Cancer Coalition being joined by newer sources like the CDC and the Agency for Healthcare Research and Quality (AHRQ). Total grant receipts in FY2011 were impressive despite negative funding trends, and 26 percent of our faculty at the assistant professor rank or higher were PIs of an award. While remarkable given the funding climate, this stat may be artificially high due to awards received as part of the federal ARRA stimulus package. Faculty published 161 peer-reviewed papers — slightly more than that of the prior four years — in such high impact journals as the New England Journal of Medicine, Nature, Nature Medicine, Journal of Clinical Investigation, Journal of Experimental Medicine, and Circulation, and faculty from all divisions presented at major national and international meetings. 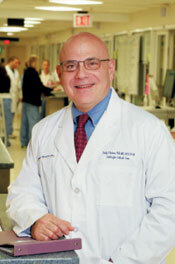 In the Division of Cardiothoracic Surgery, Dr. John Puskas' Clinical Research Unit (CRU) and Dr. David Lefer's Cardiothoracic Research Lab (CTRL) developed three funded collaborations: an investigation of endothelial function in saphenous vein grafts for patients undergoing coronary artery bypass surgery, an identification and quantification of the inflammatory biomarkers that may predict pulmonary outcomes in coronary artery bypass grafting, and the acquisition of urine specimens for development of kidney biomarker assays. Dr. Puskas accepted his first philanthropic donation on behalf of the CRU, and the lab began FY2011 with three NHLBI clinical grants and 22 active clinical trials. The dramatic increase in CTRL funding over the past three years was evidenced by the lab’s 13 grants or research contracts in 2011, including seven NIH grants — there were no NIH grants in 2008. Dr. John Calvert and Dr. Lefer’s study of the heart's ability to store the nitric oxide generated during exercise was the most-read article of the year in Circulation Research. A philanthropic gift initiated a parathyroid research fund in the Division of General and GI Surgery, Dr. Collin Weber's JDRF-funded studies of pancreatic islet transplantation moved forward, and Division Chief Dr. John Sweeney was PI of the Department’s first-ever AHRQ award. Dr. Sweeney and co-investigator James Cox, director of the Experimental Economics Center of the Andrew Young School of Policy Studies at GSU, are examining hospital length of stay as a central factor in the complex interplay between quality of health care delivery and medical costs. The study is evaluating new applications of information technology designed to increase physicians' effectiveness in identifying optimal discharge time. Dr. Gary Bouloux, director of research for Oral and Maxillofacial Surgery, is PI of a multi-center study funded by the OMS Foundation that is evaluating the efficacy of either corticosteroid or hyaluronic acid in reducing and improving jaw opening function after arthrocentesis (rinsing of the jaw joint) for temporomandibular joint dysfunction. Dr. Martin Steed, who is also site-PI for a national outcome study in orthognathic surgery, will assist Dr. Bouloux. Division Chief Dr. Steven Roser continues to evaluate the patient benefit of endoscopic assisted subcondylar fracture repair. Current projects in Pediatric Surgery include Division Chief Dr. Mark Wulkan's prospective trial of adjustable gastric banding in obese adolescents, Dr. Barbara Pettitt's participation in a multi-site pilot study of a new instrument developed by the National Board of Medical Examiners for assessing professional behaviors in medical school, and Dr. Matthew Clifton's efforts to develop surgical instrumentation in collaboration with engineers from the Georgia Institute of Technology. Plastic and Reconstructive Surgery Chief Dr. Grant Carlson and plastic surgery resident Clair Duggal are conducting an IRB protocol evaluating patient-reported outcome measures after breast reconstruction, while Dr. Albert Losken and resident Hunter Moyer are working with biomedical colleagues at Georgia Tech observing breast implant capsular contracture in the swine model. 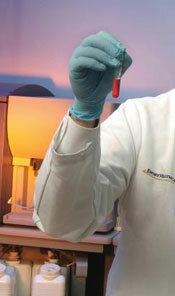 In Surgical Oncology, Dr. Sheryl Gabram continued studying breath biomarkers as a tool for breast and lung cancer detection and monitoring and was a site PI for the Consortium of Underserved BRCA Testers, an AVON pilot project comparing strategies used at three clinical sites to identify underserved women at high risk for hereditary breast and ovarian cancer. Dr. Theresa Gillespie's eclectic research — which includes decision-making and risk communications in cancer, barriers to clinical trials, informed decision-making by minority and older patients, and disparities in cancer care and access — was funded by the American Cancer Society, AVON Foundation, CDC, Department of Veterans Affairs, NIH, NCI, and the Veterans Healthcare Administration. Dr. David Kooby is working with Dr. Gillespie and Dr. Joseph Lipscomb, Rollins School of Public Health, on an examination of the utility of the Participant User File for the National Cancer Database in pancreatic cancer, particularly in the role of radiation therapy as an adjuvant to surgical therapy of pancreatic cancer. Dr. Shishir Maithel has initiated a program with colleagues in Pathology & Hematology and Medical Oncology to assess molecular biomarker predictors of patient outcome and treatment response for GI and hepatopancreatobiliary tumors, the aim being to apply the data to the design of future trials in the field of personalized cancer care. Dr. Monica Rizzo is measuring the effect of additional tumor cavity margins excision at the time of breast conversing surgery for Stage I, II, and III breast cancer patients on re-excision rate, cosmetic results, and total costs, and is conducting a pre-surgical trial of Letrazole in post menopausal patients with operable hormone-sensitive breast cancer. Dr. Toncred Styblo is the Winship-based PI of a multi-center study funded by the Foundation of the NIH that is using genetic or biological markers from individual patients' tumors to screen promising new treatments with the goal of identifying the methods that are most effective in specific types of patients. Dr. Lily Yang is PI or Co-PI on several NCI-funded studies involving nanotechnology research in breast and pancreatic cancer, two of which include Division Chief Dr. Charles Staley as Co-PI. The FDA's approval of the new immunosuppressant Belatacept and the performance of the Southeast’s first hand transplant were triumphs for Transplantation in 2011. Dr. Chris Larsen and Dr. Tom Pearson played a leading role in discovering and developing Belatacept and are now testing the drug in NIH-sponsored clinical trials for liver transplant and pancreatic islet transplant. Dr. Linda Cendales remains PI of the DoD-funded hand transplantation trial, which is still actively recruiting patients. In studies funded by industry, foundation, and federal sources, Division Chief Stuart Knechtle and Drs. Neal Iwakoshi, Mandy Ford, Allan Kirk, Kenneth Newell, and Karnail Singh are investigating numerous aspects of immunologic tolerance to organ transplants. Dr. Steven Hanish is evaluating the MRI imaging characteristics of hepatocellular carcinoma in patients before liver transplant as an indicator of potential transplant outcomes, and comparing those indications with actual long-term, post-transplant outcomes. Dr. Paul Tso is the Emory-PI of a multicenter study of the safety and efficacy of the drug 15NP in preventing delayed graft function in patients undergoing deceased donor kidney transplantation, while Dr. Nicole Turgeon is either PI or co-investigator of grants involved with advancing and enhancing islet transplantation. Trauma/Surgical Critical Care Division Chief Dr. Grace Rozycki is Co-PI of a National Trauma Institute-funded study of the use of ultrasound to screen the diameter of trauma patients' vena cavas as a method of predicting those patients who are likely to continue internal bleeding and require surgery. Dr. Timothy Buchman continues to advance his studies of predictive biology (see story below), while Dr. Craig Coopersmith recently received an NIH T32 critical care training grant and has two active R01 grants for the study of consequences and adaptation to sepsis and shock. Dr. Chris Dente initiated a prospective randomized trial to assess methods of fasciotomy closure and continued his implementation and prospective study of a new massive transfusion protocol at Grady’s trauma center. Dr. Jeffrey Nicholas began evaluating and identifying risk factors for acute renal failure requiring dialysis in trauma patients, and Dr. Gary Vercruysse was co-PI of an NIH grant to study decompressive craniotomy versus medical therapy for refractory intracranial hypertension. With the arrival of Dr. Luke Brewster in July 2011 and his interest in refining surgical and endovascular therapies for application to diseased arterial conditions, Vascular Surgery’s basic science research lab is expected to expand. Dr. Matthew Corriere was appointed a guest researcher at the CDC's Division for Healthcare Quality Promotion of the National Center for Infectious Diseases, where he is focusing on development and harmonization of surgical site infection measures, risk adjustment for procedure-specific models for surgical site infection risk, and development of updated coding strategies for data capture related to surgical procedure surveillance within the National Hospital Safety Network. Dr. Ravi Veeraswamy and Dr. Joseph Ricotta, director of clinical research in the division, are PIs or co-PIs of numerous industry-sponsored studies of systems and technologies for endovascular aortic aneurysm repair, carotid revascularization, and stent grafting. Recognizing the need and urgency for promoting research at the interface between the mathematical sciences and the life sciences, the NIH and NSF initiated a call in 2007 for proposals that would operate at the juncture of mathematics and statistics on questions in the biological and biomedical sciences. After four years of reviewing submissions, they have awarded the grant "Predicting Patient Subpopulation Dynamics from Fluctuation Theory " to co-Principal Investigators Dr. Timothy G. Buchman and Dr. Michael W. Deem, John W. Cox Professor in Biochemical and Genetic Engineering, Department of Bioengineering at Rice University in Houston. The team plans to advance the traditional framework of fluctuation-dissipation theory (FDT), which allows prediction of a stable system’s response to external force and its subsequent return to equilibrium from the moment-to-moment spontaneous fluctuations of that system at rest. Recent advances in mathematical physics created an opportunity for the investigators to propose adapting the theorem to certain physiologic systems, which are open and maintained in a near steady state, yet far from equilibrium. The investigators will take advantage of standard perturbations in clinical care, such as the spontaneous breathing trial (SBT) that is part of routine critical care practice, to analyze and model responses of heart rate and blood pressure. Patient groups of representative ages, genders, and disease states will be observed at Emory University Hospital. "Through this novel application of fluctuation theory, we aim to eventually predict the precise physiologic dynamics of patients in response to treatments, and from those predictions understand why clinicians remove or retain physiologic supports for their patients," says Dr. Buchman. "Such predictive ability could be expanded to encompass multiple physiological variables, assist in forecasting complications before they happen, and support individualized care." The Office of Sponsored Programs (OSP) currently subscribes to two nationwide funding opportunities databases: Community of Science (COS) and Illinois Researcher Information Service (IRIS). Both services cover federal and foundation support, allow users to run real time searches and create research interest profiles, and can be configured to send email notifications of appropriate opportunities to those profiles. The services' websites can be accessed directly or from OSP's funding opportunities page. 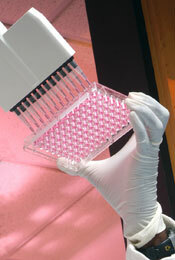 COS is the world's most comprehensive funding resource, with more than 25,000 records worth over $33 billion. Sponsors include private foundations, public agencies, national and local governments, etc. Funding is available for many purposes, such as research, collaborations, travel, curriculum development, conferences, fellowships, postdoctoral positions, equipment acquisitions, and capital or operating expenses. COS is updated daily and all information is verified with the sponsor, edited for consistency, and optimized for accurate searching. As a unit of the University of Illinois Library at Urbana-Champaign, the IRIS database features funding opportunities in every field from agriculture to zoology and allows upcoming deadlines in 25 subject areas to be posted regularly. The IRIS Expertise Service enables researchers at subscribing institutions to create detailed electronic CVs for uploading that can be viewed by colleagues at other institutions, program officers at federal and private funding agencies, and private companies. The biosketches can also be used in the electronic submission of grant proposals. When working with these or any other recognized funding portals, faculty should keep in mind that assistance in all phases of the grant application process is available from the Surgery Research Administration Office. All staff are cRAE certified and highly experienced in the many variables that must be observed and resolved for submissions and awards to be successful and for existing grants to be maintained. The team has a thorough understanding of all pre-award requirements; efficiently navigates the multiple offices involved in research administration at Emory; is well versed in defining direct costs, facilities and administrative costs, and unallowable costs; and practices the mandated accounting standards and cost accounting standards. The office's section on the Department of Surgery intranet site is an excellent resource, featuring information on pre-award and post-award facilitation teams, how to route a grant, the IRB approval process, and much more. 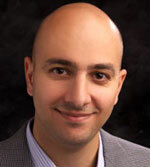 (Assistant Professor of Surgery, Division of Vascular Surgery and Endovascular Therapy) Dr. Yazan Duwayri joins us after completing his vascular surgery fellowship at Washington University in Saint Louis. He earned his MD from the University of Jordan School of Medicine, Amman, Jordan, did his internship at Indiana University, and his general surgery residency at the University of Toledo. Dr. Duwayri specializes in endoluminal and open vascular surgery, with his primary areas of clinical interest being carotid stenosis, abdominal and thoracic aortic aneurysms, aortoiliac occlusive disease, renal arterial stenosis, thoracic outlet syndrome, dialysis access, peripheral arterial disease, and venous disease. His research interests are outcomes research in vascular surgery, endovascular device design, limb salvage, and mesenchymal stem cell biology. The Department of Surgery will host an Emory Surgery Alumni Reception at the American College of Surgeons 97th Annual Clinical Congress, October 23-27, 2011, in San Francisco. The reception will be held on October 25 from 6:00 to 8:00 PM in the Borgia Room of the Westin St. Francis Hotel. Former and recent graduates are encouraged to attend.